Most people would agree that when you visit your doctor, someone who is a scientist by education of course, and she tells you that she’s 98% sure of one thing or another you don’t hesitate to follow her advice. That percentage is so high it speaks for itself and leaves little to no doubt that you don’t even question it and, instead, you take action. And yet when it comes to climate change and our dire need to begin to materially fix the problem by shifting to sustainable energy something is different. We know that 98% of scientists that have studied the issue have concluded that climate change is not only real but substantially made by man. And mind you, that overwhelming percentage of climate scientists that have come to that conclusion did so after being subjected to rigorous, peer reviewed, expert professional analysis from folks who are skeptical by nature and spend their days asking questions so as to seek the factual truth to support their answers and views. So if 98% of scientists have the same view, have drawn the same conclusion, then why are we so slow to change our ways and move into the future by doing what’s right? And speaking of percentages, if you live in a place like South Florida for any length of time as I have then you are 100% certain that we have a problem, that things are changing, that the temperature and water all around us are rising. You don’t need someone to tell you what your eyes and brain make clear and yet many in Washington and elsewhere spend a significant amount of their time working on ways to either keep things the way they are or make them worse rather than better, when better is so obviously achievable. Why are we not taking more decisive action to address our warming planet? Why do we pander to those who question the science when those who have spent careers studying it have nearly no doubt and, even if they are slightly off in their projections, would making our world cleaner, safer and cooler not be the wise and decent thing to do anyway? The answer to our collective lack of sufficient action can often be found in our mass media. When the media runs a piece on what is so obviously happening and has expert opinion explaining the science and solutions it often feels compelled to have a dissenting voice express their opinion even though the facts, and the truth, is so single sided. The moment the media places someone who suggests that earth is not warming, that man is not at fault, that one thing or another is “normal” they provide the stage for that person to be seen as a 50/50 equal to their counterpart on that same screen and that, for the public, can be terribly misleading. 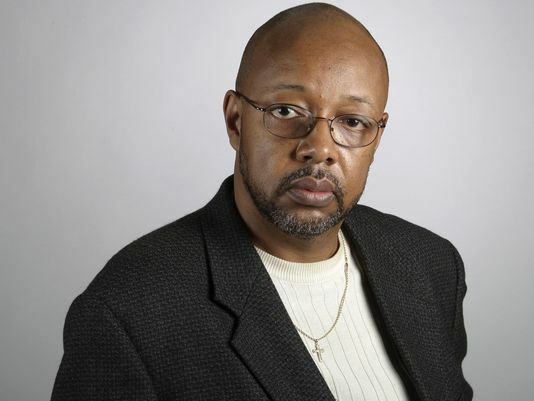 Leonard Pitts Jr. is most certainly a member of the mass media. He is a long time, magnificent, opinion writer for the Miami Herald who eloquently describes much of what people call the human condition but he does so with a heart and soul that often brings tears to my eyes. His work on race relations, gun control and any number of other important topics is nothing short of brilliant and I am so very pleased that he’s written about a change at the British Broadcasting Corp (BBC) than you need to consider and then, please, share. When the history of this era is written, who’ll be to blame? When the history of this era is written, when future generations wonder how a mostly-educated and largely-literate nation became mired in “truthiness,” when they ask how we became so mentally muddled that we lost the ability to identify facts and the capacity to care, they’ll find many culprits. But they will also blame many of us in the non-Fox news media for our failure to be energetic advocates for, and defenders of, the actual, factual truth. They will blame us for surrendering to a boneless “bothsideism” that simulates professional impartiality at the cost of clarity and fact. As deniers of tragedies from the Holocaust to the Civil War to the Parkland shooting prove, both-side-ism isn’t just a journalistic problem. But it is in journalism that it is arguably most consequential. One recalls with a grimace how reporters treated Hillary Clinton’s sloppy handling of emails as an object of concern equivalent to the racism, misogyny, mendacity, ineptitude, ignorance and corruption that trail Trump like an odor. Indeed, a survey by the Harvard Kennedy School’s Shorenstein Center found that over the course of the full campaign, Clinton actually received more negative media coverage than he did. The BBC seems to have reached a moment of, well…truth in that regard. American journalists would be well advised to emulate them. Tomorrow’s historians will record that we helped lead the country into this mess. Who’ll be to blame? Let us put a stop to the political madness by agreeing that the debate over whether climate change is real has ended and that the time to begin solving the problem by shifting away from fossil fuels and to sustainable energy has begun. To do that we must demand far more of our leaders (read more about that by clicking here) and each other or else there will be an infinite amount of blame to go around as we watch our South Florida sink into extinction.